I thinking the next 5-10 years we’ll see some really truly amazing rich browser-based apps. 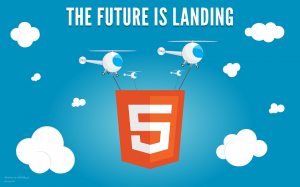 There already exist a pretty decent collection of HTML5 frameworks geard for web apps. Speaking of HTML 5 and apps, some experienced people have already built pre-fabricated frames for you to hang your application on. While they can have steep learning curves, they can also get you past some of the basic pitfalls that it’s easy to get caught up in.